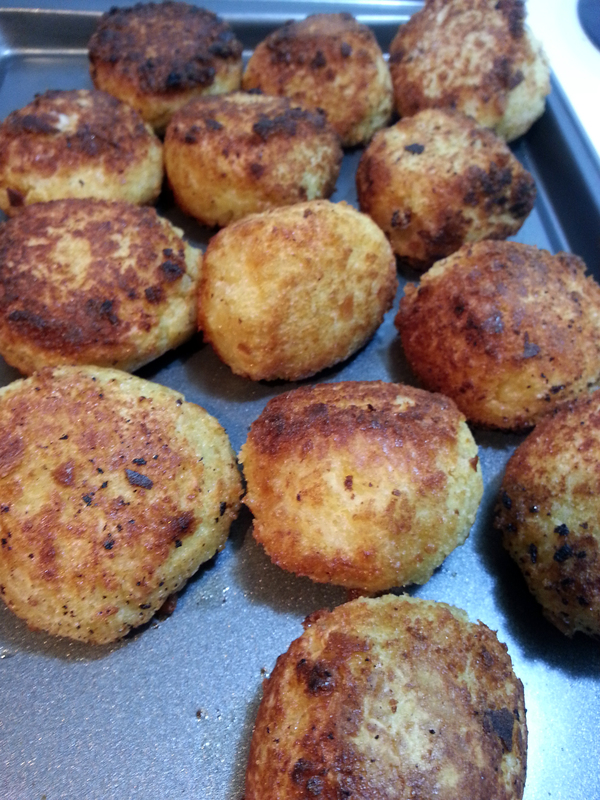 I saw Arancini rice balls recipe in a kids cookbook last week but I did not write it down. So yesterday I looked for a few recipes online and took notes how to make them and started to work. You will need at least 3 hours to make these balls. It is very time consuming BUT it is so worth it! And it’s cheap too, the whole batch came up to 4 dollars (depending where you shop) and you can at least eat it for 2 dinners, 2 lunches for 2 people. Very filling. We couldn’t eat more than 3 balls each plus coleslaw. Heat the oil in a large saucepan, add the chopped onion and garlic and cook for 5 minutes or until the onion is soft. Add the rice to the onion mixture. Add about 125ml/1/2 cup of the chicken stock to the rice mixture and stir constantly with a wooden spoon until the liquid is completely absorbed. Continue to add the stock, 1/2 cupful at a time, stirring constantly and allowing the liquid to be absorbed before adding the next. It takes about 20-25 minutes until the rice is tender yet firm. Now stir in the Parmesan. Set aside for 2-3 hours to cool completely. Add 2 eggs and stir until well combined. I used my Kitchen Aid stand mixer since it was too hard to do it by hand. 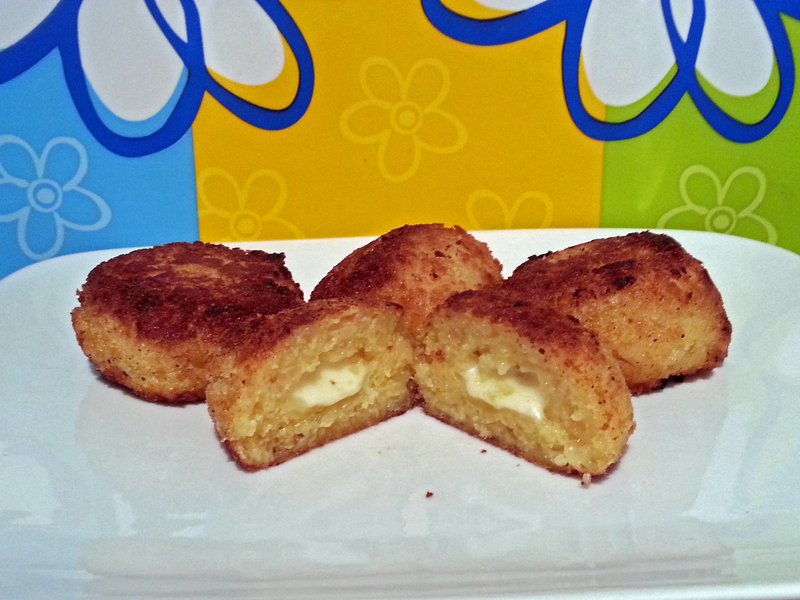 Place the breadcrumbs, flour, whisked eggs and cubes of mozzarella onto a 4 different plates. 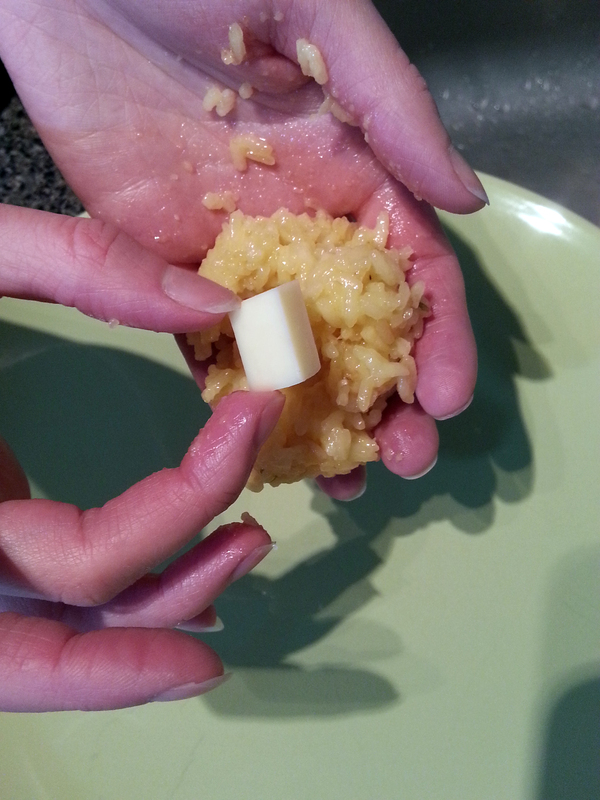 Use wet hands to shape 2 tablespoons of the rice mixture into a ball. Press your thumb in the centre of the ball to make a hole, place a piece of mozzarella into it. 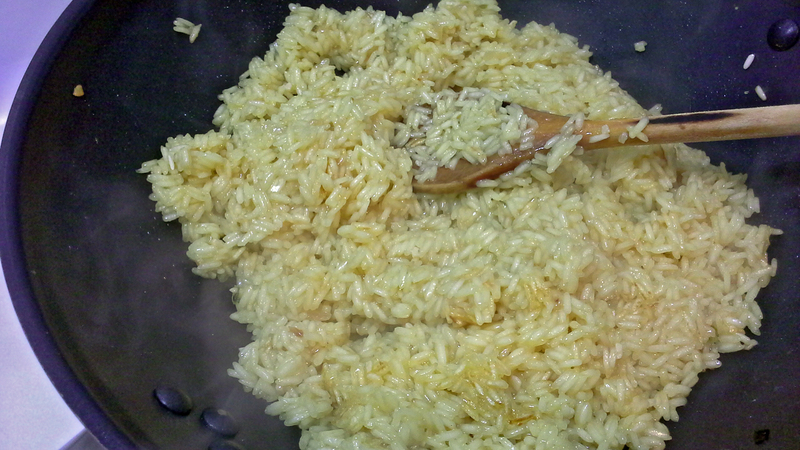 Then mold the rice mixture around the mozzarella to enclose. I got 15 big rice balls. 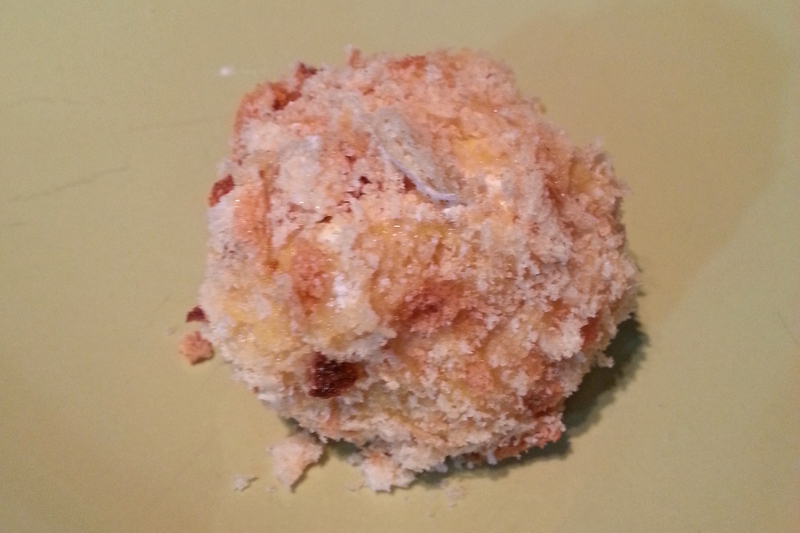 Now roll the balls in the flour, dip in the egg and then in the breadcrumbs. Exactly in that order. And the final step – fry or deep-fry them. I didn’t have enough oil to deep-fry them so I just fried them in the pan in half inch deep oil, both sides, medium heat for about minute or minute and a half. You’ll see when the coat is nice and brown then turn. We put them into the oven for 15 minutes 350 F so the cheese inside will melt since it didn’t while frying. They were so amazing and like I said cheap to make and very filling! There is always a first time. They look tasty. Am glad you enjoyed them! Best wishes!